Today coffee is the second most valuable commodity in the world, with 12 billion pounds consumed annually. Coffee has always been a popular beverage however, the last 100 years have seen exponential growth in coffee's consumption. Three innovations in coffee have changed it's consumption in the last 100 years, these innovations are the creation of vacuum packaging, the creation of instant coffee and the introduction of mega coffee-chains. Two important trends that have spawned from these innovations are the creation and widespread use of Fairtrade coffee and societies perception of coffee as a drug. Modern coffee can trace its beginnings to the 18th century when two companies saw demand for coffee that was affordable and quick to prepare. 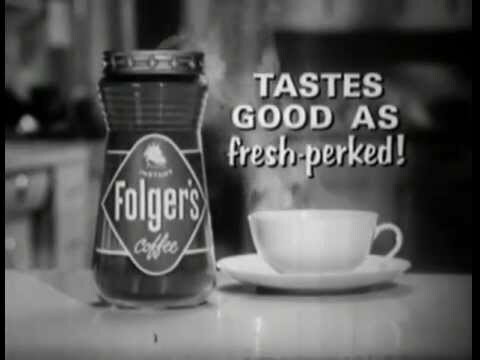 These companies became Folgers and Maxwell House and they would quickly become household names across the United States. One of the most significant creations from this time is the vacuum sealed packaging. Vacuum packaging was created in 1900 by the Hills Bros. Coffee company, and the process removed air from coffee tins, allowing for fresher beans. This allowed for consumers to purchase coffee from grocers rather than from the local roaster. The next innovation in coffee’s modern history is instant coffee. In 1903 a Japanese-American named Satori Kato used a well-known tea dehydration technique on coffee beans. This was the birth of instant coffee. It was quick, easy and didn’t require any brewing equipment, making it an instant hit. By the 1970’s almost one-third of imported roasted coffee was created into instant coffee. However, by 1980’s a new wave of coffee consumers would radically change the market. By the 1980’s consumers wanted to know more about the origins of their coffee. This spawned the Fairtrade movement. The Fairtrade movement made a significant impact to the production and pricing of coffee and thus will be discussed in a separate section below. At that same time another movement that gained traction was the introduction of specialty coffee items such as the espresso, latte and French Press. Coffee shops also increased in popularity, they attracted customers to come to brick and mortar shops to enjoy a coffee while listening to music or catching with friends. The rise in popularity of local coffee shops set the stage for the next great movement in modern coffee, the “Starbucks effect”. Although Starbucks was started in 1971 it did not begin to grow until 1987 when they added pre-ground coffee, espresso’s and latte’s to the menu. After these additions Starbucks grew exponentially, opening a new location every workday in the 1990’s and by 2000 it had over 3000 operating locations. Starbucks had changed the industry by normalizing espresso drinks and offering the intimate coffee shop experience to millions of people around the world. Starbucks success prompted other coffee giants such as Dunkin Donuts and Tim Hortons to change their focus from pastries to coffee. The intent was simple, to provide fast, affordable coffee to American’s every morning. The first major trend that spawned from the above mentioned innovations is the creation and widespread use of Fairtrade coffee beans. Around the world, 25 million small farmers produce 70-80 percent of the world’s coffee, which is why Fairtrade is such an important part of modern coffee’s history-it changed the way the majority of coffee producers live and produce. Coffee is the most common fair trade commodity in the world, accounting for 25 percent of all fair trade retail sales. Fairtrade was first launched in the Netherlands, and is a certification created to artificially raise coffee profits to ensure that the coffee farmers profit from their crops. Specifically Fairtrade certifications ensure promotion of coffee consumption, raise the standard of living of growers, expand research to include niche markets and quality relating to geographic area, and conduct studies of sustainability. Now nearly half of all Fairtrade producers are coffee growers with roughly 812,500 small-scale farmers organized in 445 producer organizations. Coffee farmers in 30 countries produce according to Fairtrade standards. The last major trend in modern coffee is coffee's perception by society. Coffee has a long history and as such has seen its rises and declines in popularity. Throughout history coffee has been banned in countries for its stimulant effects. The most recent attempt was in 1906 when the United States Federal Government created the pure food and drug act, an act which set out to ensure that adulterated foods and poisonous drugs would not be sold to the general public. 100 years later people’s opinions on coffee look very different. Coffee is considered an integral part of many people's mornings and is even considered a health food, with research showing that it prevents diseases such as type 2 diabetes heart disease and lowers rates of depression among women. This transition didn't happen overnight. In one of coffee's largest markets (North America) this change in perception can be attributed in large part to the marketing efforts of the mega-coffee chains described above. The concept of coffee as a medicine has not had a major impact on its consumption however, it is predicted that with the recent craze of "superfoods" coffee's position as a health drink will only enhance its attractiveness.